Barbara has been in the local association for 33 years and with the youth for 32 years. She started bowling in the Wednesday morning league in the Pee Dee Association. Rose Hardee, Treasurer of the youth program in Florence asked Barbara to bring her boys to bowl on Saturday morning. She walked in one morning and Blaine Lyles asked her to take over the job as Secretary for the youth. She could not say no. In 1977 Brenda Phillips asked her to take over her job on the State Board for the youth as a Director. She has been serving since and is presently still serving on the youth committee for the State. As she tells her people that comes on the local board, this is your job till you die or you do something that is so w4rong it can’t be forgiven. Now 34 years later and her grandchildren are bowling in the youth program. She is married to Roland for 46 years, has 3 children, Eddie, Robie and Betsy and now has 5 grandchildren, Zack, Phillys, Kylie, Madison and Belle. 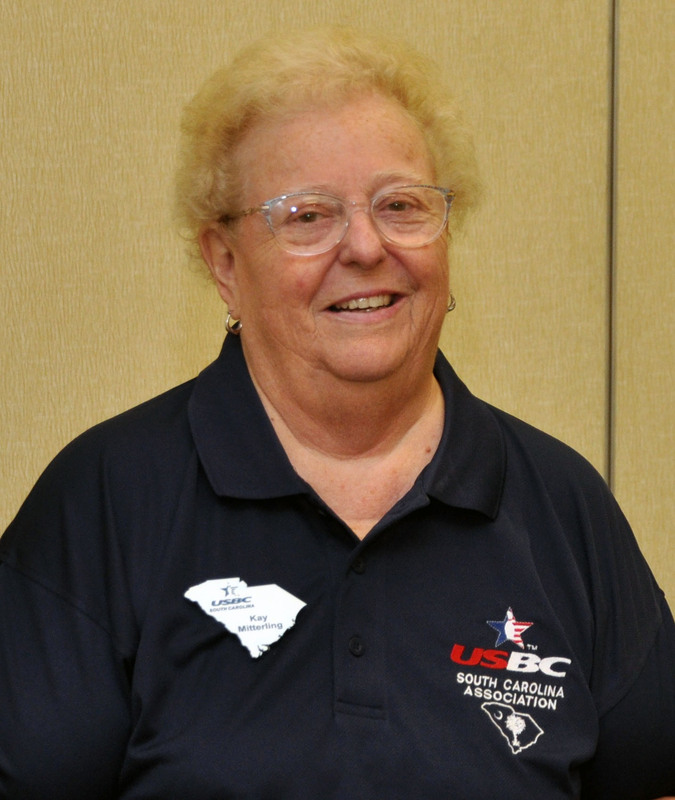 Barbara would like to thank Rose Hardee for getting her started and for all the youth she has served and given the opportunity to be bowlers. She thinks most of us agree that we would not be sitting her without them. Again, we congratulate Barbara on being inducted into the South Carolina Hall of Fame in the Meritorious Services for Youth Category for the 2010-2011 year.